Is Traditional Chinese Medicine/Acupuncture covered by my health fund? Any good health fund will cover TCM/Acupuncture if you have ‘extras’ cover. The amount that the health fund will pay, per consultation, and the overall limit that the fund will pay in a year, is individual to your health fund. The fund often pays part of the consultation, through a system called ‘HICAPS’. Using HICAPS means that when you pay for your consultation, you are able to swipe your health fund card, and then only pay the difference between what the health fund pays, and the consultation fee. This saves you a trip to the health fund office! Make an enquiry with your health fund to find out the specifics of how much your health fund will cover. When having acupuncture, where do the needles go? Are your acupuncture needles sterile or reused? How do I prepare for Acupuncture? Why do people usually visit a chiropractor? It might surprise you, but many people see a chiropractor simply to have their spine ‘checked’. It’s not really any different to having you teeth checked by a dentist. After all, prevention is a lot cheaper and more effective than trying to repair a spine after several years of damage have occurred. Many people, however, don’t realise they have a problem until the trouble is well under way. Commonly, people may present with low back pain, neck pain, dizziness, hip pain, shoulder pain, headaches, migraines, leg pain, heel pain, rib pain, wrist pain, numbness & pins and needles, jaw pain, and a host of other things. Children often present with ‘growing pains’, which usually don’t have much to do with growing! Generally, how long it takes to recover from an injury depends on how long you’ve had the injury, and the severity of the damage. If you injured yourself yesterday, and present today, depending on the injury, it might take days to weeks to recover. If you have saved your injury up for a few years, recovery may take a lot longer. The human body is built to repair, but sometimes its processes are slower than we would like! There isn’t any way to rush healing, but you can certainly encourage it by eating well, keeping up regular and safe exercise, and staying in a positive and low-stress mindset. Fees are set by consultation. That means you will not come away with a large itemised bill. You pay for our experience and knowledge, rather than our time. If your needs are more complex than a standard consultation allows, we may in some circumstances recommend an extended consultation. For more specific information on prices, please call 4323 9100. You certainly won’t be asked to sign up to an extended care plan, or pay up front for future visits. In general, chiropractic, like private physiotherapy, osteopathy or dental care, is not covered by Medicare. 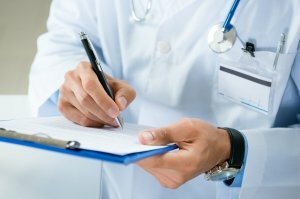 In certain circumstances, particularly if you suffer from a chronic medical condition, you may be able to claim up to five treatments under a government program using what is commonly called an EPC plan or the ‘Chronic Disease Allied Health (Individual) Services under Medicare’ program (what a mouthful!). Speak to your general practitioner to discuss whether this might be applicable to you. If it is, you will require a care plan to be completed by your GP. 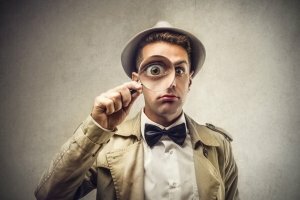 Is chiropractic care covered by my Health Fund? Any good health fund will cover chiropractic if you have ‘extras’ cover. The amount that the health fund will pay, per consultation, and the overall limit that the fund will pay in a year, is individual to your health fund. The fund often pays part of the consultation, through a system called ‘HICAPS’. Using HICAPS means that when you pay for your consultation, you are able to swipe your health fund card, and then only pay the difference between what the health fund pays, and the consultation fee. This saves you a trip to the health fund office! Make an enquiry with your health fund to find out the specifics of how much your health fund will cover. Do you have HICAPS facilities available? Indeed, we do have HICAPS! Using HICAPS means that when you pay for your consultation, you are able to swipe your health fund card, and then only pay the difference between what the health fund pays, and the consultation fee. This saves you a trip to the health fund office! How long is the initial consultation and each one, thereafter? When you first visit the chiropractor, you will need to set aside between 45 minutes and an hour. Your second visit will take between 15 and 30 minutes, depending on the complexity of your condition and if you have x-rays or other tests that need to be analysed and discussed. Subsequent visits are generally between 10 and 15 minutes, depending on the complexity of your condition. A regular checkup, once you have recovered, will take about 10 minutes. From time to time we need to perform a progress assessment. This will take between 15 and 20 minutes. In your initial consultation your doctor will need to go through a full history, including any physical or medical problems you might have. Asking for a ‘health summary’ from your GP can be very helpful and time saving. The health summary should include any medical conditions you have, and a list of any medications that you might be on, and the reasons why you are on them. If you have x-rays, scans or other imaging or test reports, it is important that you bring them, or treatment may be delayed. During the initial consultation a full examination will be conducted, which may include neurological, orthopaedic and other tests. It is best to wear loose fitting clothing so that you can move easily during the assessment. Under normal circumstances, you will not be required to undress. Chiropractors are primary healthcare practitioners, and therefore you do not need a referral from a GP to attend. All you need to do is call, and book an appointment. What will I need to bring to my initial consultation? If you have x-rays, scans or other imaging or test reports, it is important that you bring them. Bringing a ‘health summary’ from your GP can also be very helpful and time saving. The health summary should include any medical conditions you have, and a list of any medications that you might be on, and the reasons why you are on them. Are there any specific clothing requirements for the consultations? The best clothing to wear would be something loose fitting and easy to move around in. Generally, it is unlikely that you will need to disrobe for your chiropractic consultation. Depending on your condition, you may need x-rays. If you have x-rays at home, bring them in, including any reports. X-Rays are not taken routinely; they are only taken if there is a good clinical reason, and the radiology equipment we use is state of the art. If you require x-rays, your chiropractor will refer you for them, under Medicare. How much will X-Rays cost? X-Rays, if necessary, will be bulk billed, if you have a Medicare card. Do you have X-Ray facilities available? Yes. Riverside Medical Imaging is on site in West Gosford, and has a brand new, state of the art, digital radiography room. All x-rays are bulk billed. Can I have chiropractic treatment whilst I am having physiotherapy or massage therapy? It is quite common for Chiropractors, Remedial Massage Therapists and Physiotherapists to co-manage a patient’s condition. If you are seeing a physiotherapist, we will be very happy to communicate with them and discuss an approach that will best suit your condition. In our centre we have physiotherapists, exercise physiologists, dietitians, psychologists, GPs, massage therapists and several others. We all work together to achieve the best outcome for anybody who comes to visit us. I find it hard to make appointments as I have young children – can I bring them to the consultation with me? We have a child friendly environment, and we love kids! There is a play area in our waiting room with plenty of toys and books, and our consultation rooms have toy boxes. Each of our chiropractors are happy to have your children around. You may find that it is easier to have your child minded during the first and second consultations, if you think they might distract you from being able to fully relay to the chiropractor the information you need to get across. Should babies have chiropractic treatment and from what age? Many adult spinal conditions can be traced back to childhood injuries, and even to birth trauma. It is well worth having your young children checked, particularly if they were born by caesarian, forceps or suction. We monitor developmental milestones, and collaborate with GPs and other health providers, if issues are found. Older children will benefit from having their posture assessed. Many a case of bad posture starts in childhood, and can be more effectively sorted out early, rather than waiting until skeletal maturity has been reached. We can also check to make sure scoliosis is not developing. There is some (low level) research, and a lot of anecdotal evidence, suggesting that, in certain cases, with chiropractic care, babies may sleep more soundly, be less irritable, and suffer less frequently and severely from ear infections. Our chiropractors work collaboratively with your child’s GP, working within the current best practice guidelines for otitis media (ear infection). Treatment of any person is tailored to their age and condition. Any adjustments or other procedures that your child might need are fully discussed with you, and we always choose the most gentle approach. Most parents are surprised to discover that, during an adjustment of a baby, the chiropractor usually applies no more force than you would be willing to apply when pushing on your own eyeball. This is because a child’s spine and nervous system is more delicate and should be cared for, accordingly. Most children enjoy being adjusted. Do you need to hear a crack/pop for chiropractic to be effective? Definitely not! A qualified chiropractor looks for joints that show restricted movement, particularly in one or more given directions. The detection of these ‘joint fixations’ (traditionally called ‘subluxations’) can appear simple, however, it is not, and requires a great deal of experience, and understanding of joint biomechanics, thus should not be treated lightly. When that joint is manually adjusted, by applying a specific, short sharp thrust in the direction of the restriction, a small amount of separation between the joint surfaces occurs, as does a small degree of movement in the direction of restriction. (Note that most spinal joints individually have only small amounts of movement, yet collectively, allows the large ranges of movement we can see in regions like the neck). During the fraction of a second when the joint surfaces are separated, occasionally, the pressure can decrease inside the joint just enough for dissolved gasses (presumably nitrogen) to form bubbles (like opening a soft drink bottle) and can produce a popping sound. Producing this sound IS NOT the object of the adjustment, nor should it be used as an indicator of the effectiveness of an adjustment. Our emphasis is on regaining movement in the direction of restriction by the thrust. Many think that a joint has ‘gone back into place’ if you hear a crack or noise. The truth is that joints cannot get ‘out of place’ as such, unless they are actually dislocated. As it happens, joints that are already too mobile will generate noises more easily, hence the unqualified practitioner is more likely causing greater harm by creating that ‘popping’ noise. Will the chiropractor need to see me very often for me to benefit from chiropractic? Chiropractic involves ‘teaching’ dysfunctional joints and their associated muscles how to move properly again. The longer a joint problem has been allowed to exist, the more a person will have adapted and compensated over time. Furthermore, tissue changes such as muscle spasm, ‘muscle memory’, muscle wasting, scar tissue formation and inflammation will have developed. Treating you for the first time often involves dealing with the most recent damage first. This is because recent damage is more likely to be reversible. Following this, the longer term problems and consequent damage can then be addressed. How fast you respond depends on several factors including how quickly the problem is detected, how severe and extensive the problem is, your age and how diligent you are in following instructions/advice from the chiropractor. Many people experience enormous benefits from chiropractic care for recent and long-term injuries, often termed ‘acute care’. Some people may also benefit from a more ‘supportive’ or preventative approach to their spinal health, where chiropractors can identify and correct joint problems early, before they have a chance to develop complications, and result in more serious harm. This can be particularly important when there is a lot of pre-existing damage. Is chiropractic scary or painful? Patients sometimes experience immediate relief from their pain. Sometimes chiropractic procedures may be uncomfortable if the area requiring attention is already sore and inflamed, or if the person has a tendency to resist and ‘tense up’. However, common sense will ensure these sore areas are taken into account. Chiropractic procedures, which mostly involve spinal and other limb ‘adjustments’, are not inherently painful. Other procedures such as trigger point work, stretches and massage can be uncomfortable, however most people actually enjoy having these sore areas attended to this way. Will I need to rest after my adjustment? When spinal joints undergo abnormal mechanical changes, traditionally referred to by chiropractors as joint fixations or ‘subluxations’, the nervous system changes the way it does things, to compensate for the problem such as a change in gait (how you walk/move). The longer joint and muscle issues are present, the more ingrained the compensation pattern is, and hence will offer more resistance to getting back to normal. When you are adjusted, your brain, through the nervous system, must re-learn how to operate the affected joints and muscles properly again. This often takes a little time. For this reason, any person, particularly people who engage in high-performance activities such as sport or heavy manual labour, should not exercise at their usual ‘100%’ for a few days after their adjustment. It is often best to build up the workload in steps, so the new changes can be integrated into your new ‘action’. 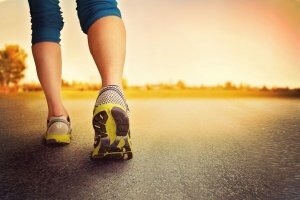 The first day back to exercise/work should be at about 60%. Any adverse outcome should show up within 12-24 hrs, so if things go well, then move to 80% the next session, and if feeling good, perhaps 100% on the session after that. Your chiropractor may recommend differently, based on your individual condition.